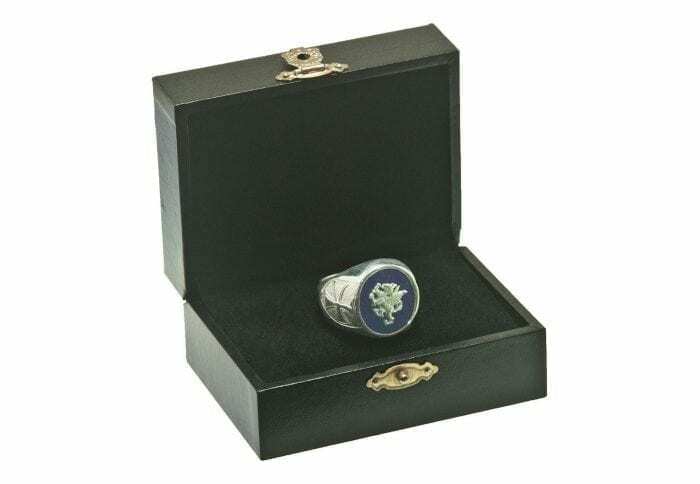 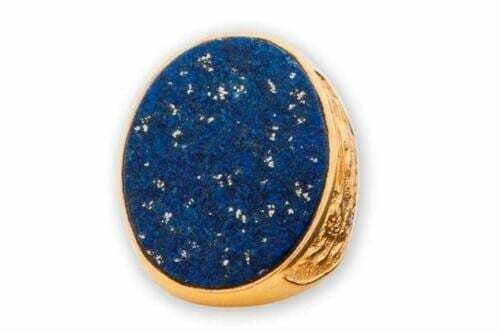 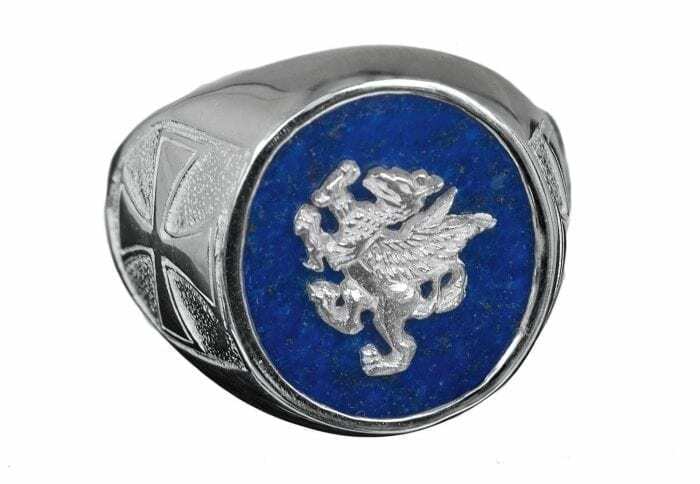 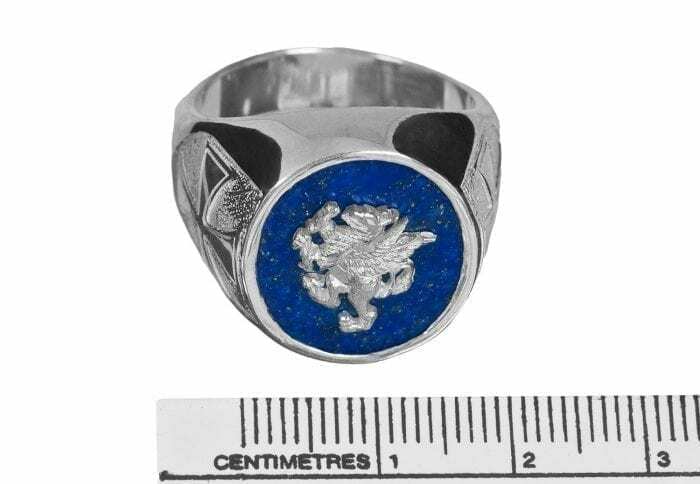 We crafted an oval of genuine lapis lazuli and over-laid a sterling silver classical griffin to create this stylish heraldic lapis ring. 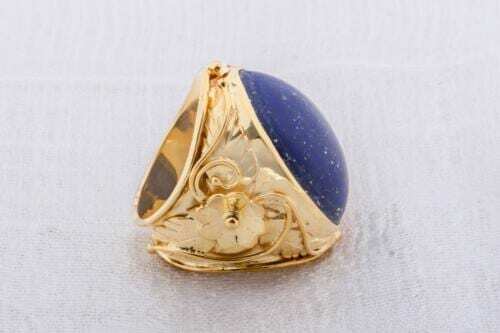 The carved oval cut measures 16 x 14 mm (5/8 x 9/16 inch). 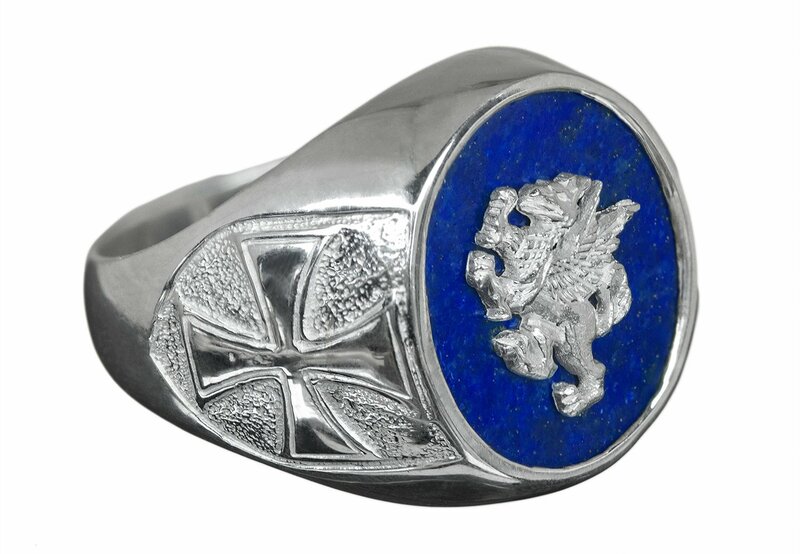 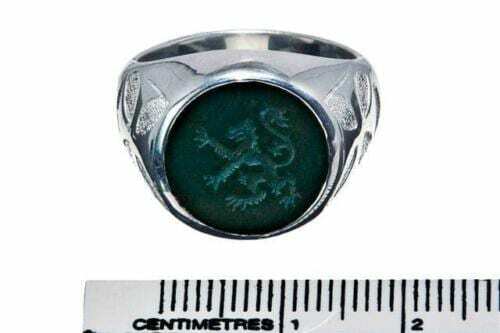 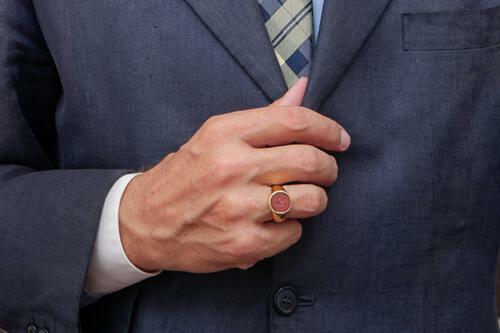 This is one of our smaller sized heraldic silver rings.